This picture shows a house that was occupied by George Mitchell and family in the 1950s. The house is now a vet's surgery. Mitchell had a rag business in a warehouse just behind the house. "Timmy" Mitchell, George Mitchell's daughter was a well-known regular at the nearby Commercial Hotel, where she drank pints and accrued a good knowledge of beer. Despite enjoying several pints at every session, she remained slim all her life. 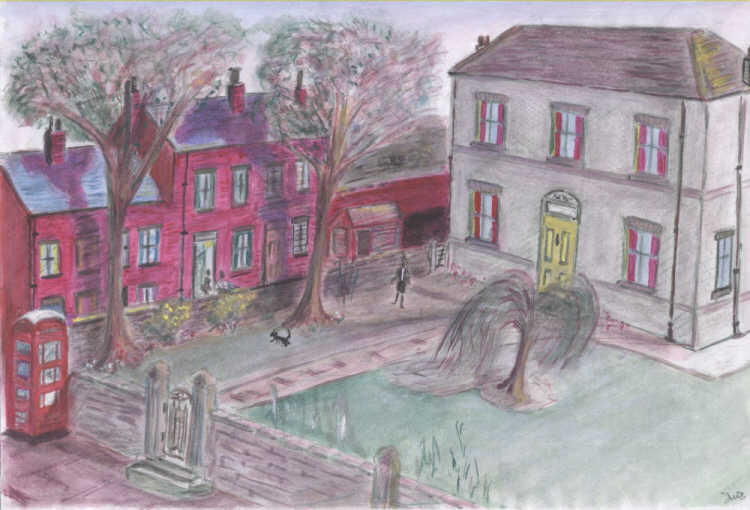 The row of terraced houses to the left were known as "Mitchell's Row" and beyond them was a yard, which later on was used by Jackson's Transport, where in the 1990s, a manslaughter case made legal history. In September 1996, Jackson Transport (Ossett) Ltd and its managing Director, Alan Jackson were convicted for the manslaughter of James Hodgson who died in May 1994 after cleaning chemical residues at the rear of a road tanker. Bradford Crown Court heard that James Hodgson died when he used steam pressure to clean a valve in a tanker blocked with highly toxic chemicals. The company had not provided preventative equipment, supervision, or adequate training. Alan Jackson, the sole director of the company at the time of the death, was sentenced to 12 months imprisonment and the company was fined £15,000.